Herbs are green portion of special kind of plants that are exclusively used for medicine, food or perfume. Except green leafy part, other part of a plant like roots, seeds, twigs etc. are referred as spice. Spices and herbs are playing a vital role against health diseases. It is also used as key constituents in many dishes. It can add flavor, color, fragrance and nutrients in many dishes. It has numerous benefits related to health. It is 100% natural product and doesn’t create any harmful effect related to your health. It can decrease fat, calories, salt and sugar of your body. It can improve the taste of many foods. It can provide iron, calcium and manganese to your body. 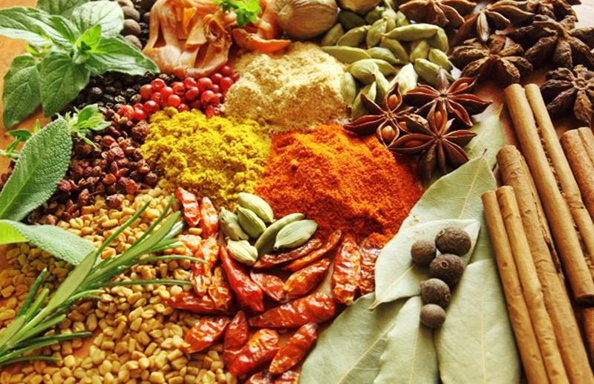 We have highly talented people who are having huge knowledge related to Spices and herbs. We offer distinct varieties of spices and herbs that can prevent you from many health diseases and can provide you healthy feel.